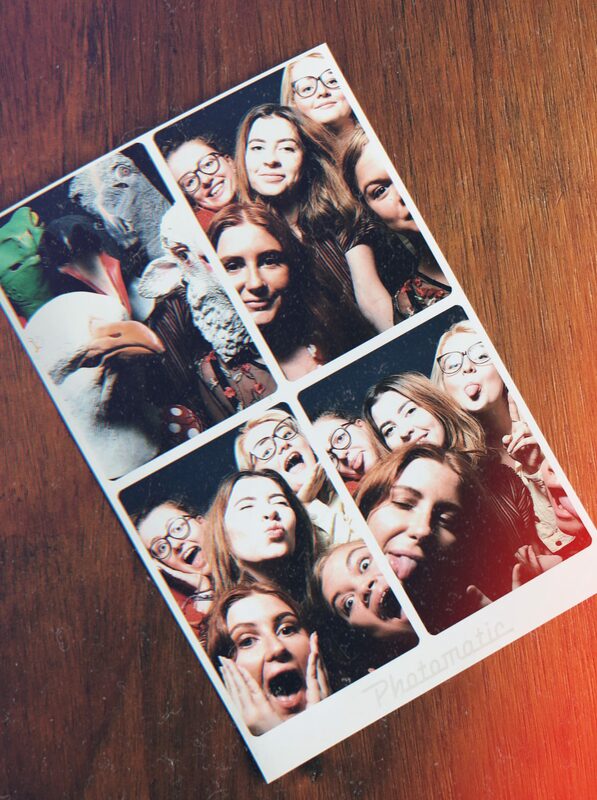 This time last week I took a trip to Brighton to celebrate my best friend’s 21st. 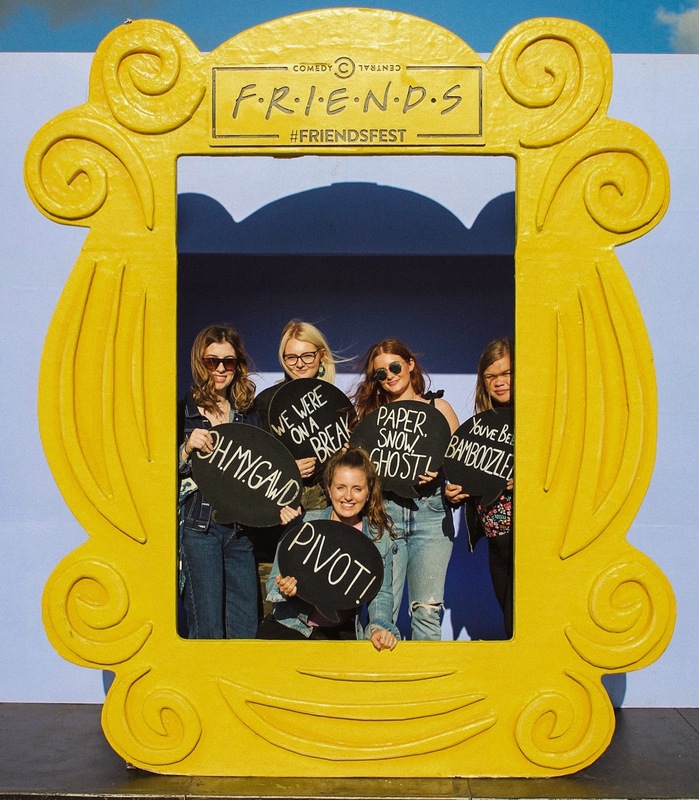 It was an awesome trip centred around Friendsfest (which I’ll come to in another post), so I thought I’d share all the highlights with you guys! 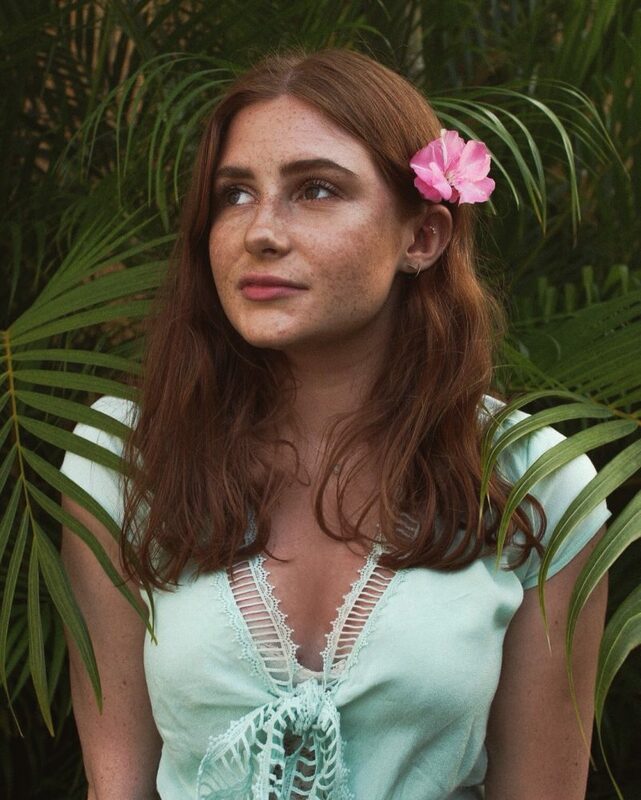 I love doing travel posts, and even though this wasn’t exactly the longest trip I’ll take any excuse to write one. 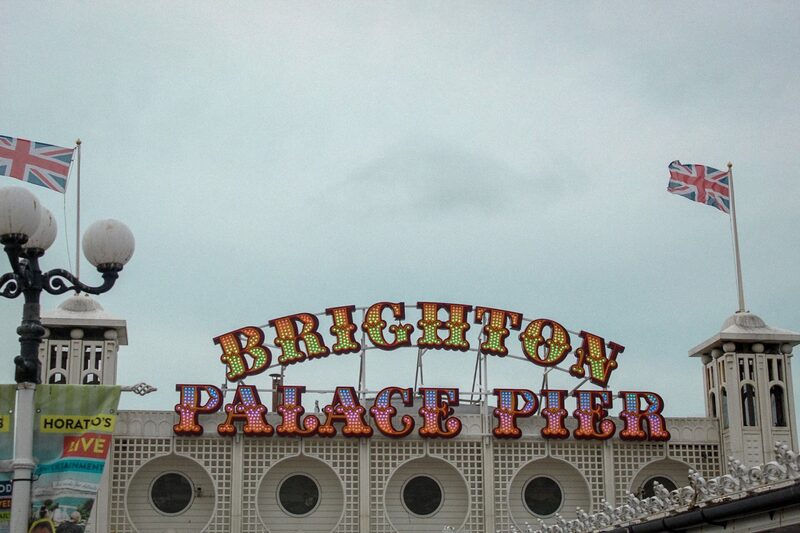 It takes quite a while to get to Brighton from where I live, so we left pretty early and got there in time for lunch. 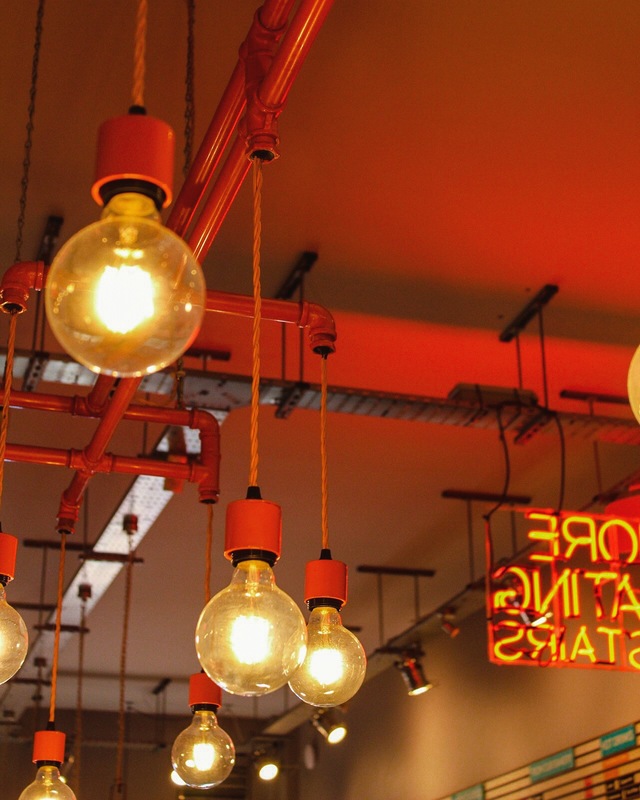 There are so many cute cafés and restaurants in Brighton, and we decided to stop at this little bagel place which had the most awesome light fittings. Anywhere with a neon sign is perfect for instagram, right? 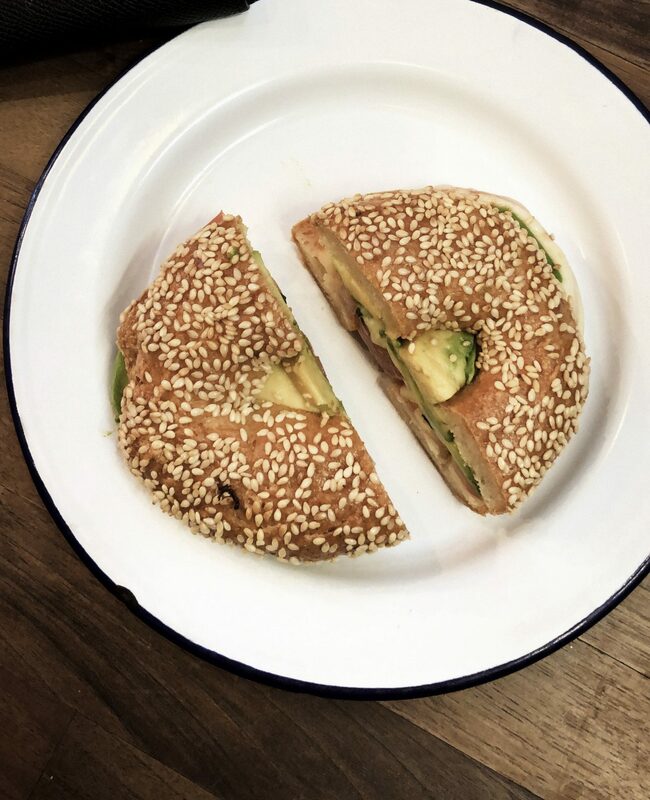 I grabbed an ATM bagel (avocado, tomato and mozzarella) which was super good, and luckily for me they had gluten-free bagels on offer – hallelujah! If you didn’t already know, I’ve gone gluten-free and it’s the best thing I’ve ever done. The cute bagel place we went to was called Bagelman, which I had never heard of but there’s actually quite a few scattered across Brighton! It was a really great spot to stop for lunch, and they definitely had an instagrammable aesthetic about them. We had a little wander around after lunch just to check out the area, and there were so many pretty spots. This was my first time in Brighton, and I loved all the tiny streets and antique-y stores. After we dropped our bags off at the place we were staying, we decided to head out to Friendsfest. I don’t want to go into too much detail because I have a separate post coming on this shortly, but we had the best time and ended up spending hours there. The rest of the day we mostly just chilled out, we were all pretty tired from the travelling and wandering around all day. We went out for a late dinner and some drinks that night (which I’m afraid I don’t have any real photos of), and then crashed out from exhaustion. The next (and final) day, we got up early and headed to The Breakfast Club for breakfast. I’d actually never been to a Breakfast Club before, so I was really excited to see what all the fuss was about. 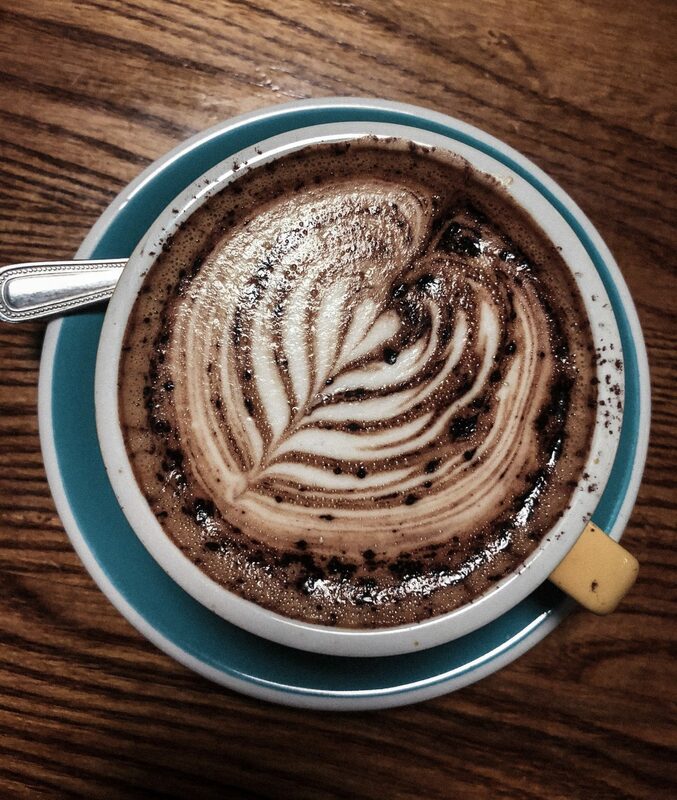 I ordered a coffee to try and wake myself up, which ended up being a pretty instagrammable coffee if I do say so myself. 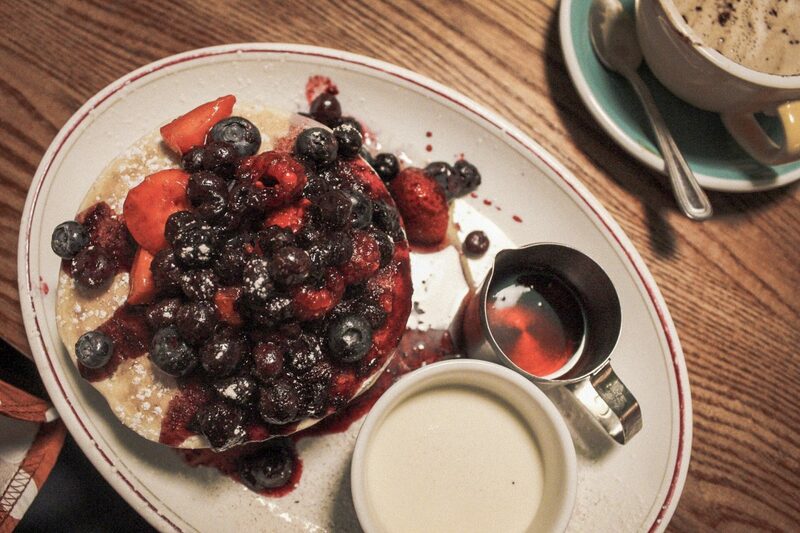 I also got the gluten-free pancakes, which ended up being huge and way too much for me. This was the one place where I was really annoyed about being gluten-free, because they had so many delicious looking waffle options but no gluten-free substitutes (sobs). The gluten-free pancakes ended up being only okay, they were a little overly sweet for my liking and whatever flour they used ended up being chalky – but hey, you can’t win them all. The berries were good though! Our next stop was to the Photomatic Photo Booth store. This ended up being super difficult because we were trying to fit in five of us, and you barely got any time between each shot – but we ended up making it work! They had so many great props at this place too, and the rubber animal masks ended up being extremely hilarious. After this we did a little more exploring, and I ended up finding so many cute stores that I wanted to spend all of my money in – but I held back. There was actually a really cute thrift stall selling antique rings which were really gorgeous, but I told myself not to get one and I’m kind of kicking myself for that now. They also had a great range of American candy stores, as well as an All Saints and Space NK which I really had to refrain from stepping into. 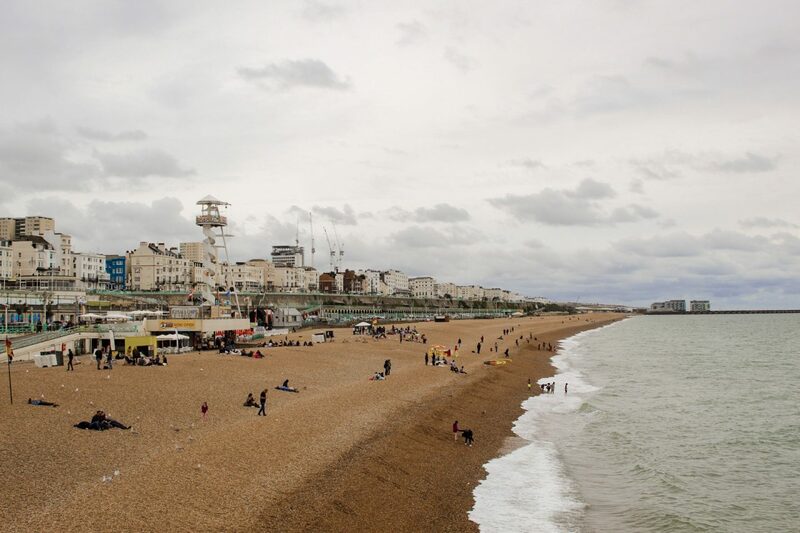 Of course, no trip to Brighton would be complete without seeing the pier – and getting a thousand different photos. The weather on our second day definitely wasn’t the best for photos, it was a lot sunnier the day before, but we made it work. It was even windier on the pier than I expected, and carting along our suitcases as well as handbags and my camera made the whole thing a bit of a struggle, but it was definitely worth it to see it. Although I was not prepared for the ginormous seagulls which looked like they could attack at any moment, especially when I was trying to get an awesome cotton candy shot. Despite the wind and the monstrous seagulls, I loved hearing the sounds of the waves and looking out at the ocean – y’all know I’m an ocean baby at heart. I was pretty surprised by the number of people swimming though, it definitely wasn’t the warmest weather in the world and I can only imagine they were freezing – people are crazy, man. 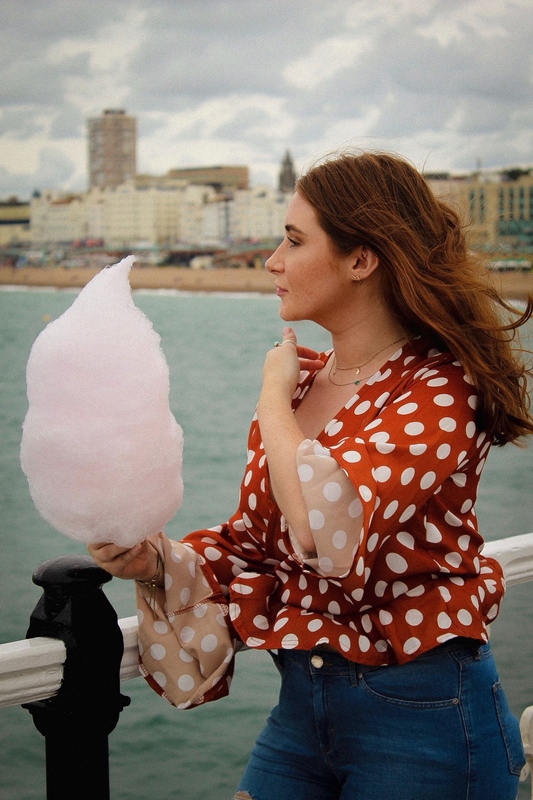 I had such a great trip celebrating my friend’s birthday in Brighton, it’s such a cool place to visit and I ended up having the best time. I definitely want to go back and explore a little more!